Following the path of several other European cities, London is soon to have its own ‘night czar‘ – not an authoritarian figure telling us all to go home early, but someone who will champion the hours of darkness as a legitimate time to be out and about. The concept of a ‘night mayor’ has already been taken up in Amsterdam, Berlin, Paris and Toulouse, with some success. But London has a population almost three times that of Berlin and four times that of Paris: the West End alone, London’s premiere entertainment district, has 38 theatres, 60 cinema screens, 20 casinos, two opera houses and four concert halls, not to mention 1,650 licensed restaurants, bars, pubs and clubs. Some 250,000 people pass through Leicester Square in the course of a weekend night and our own research carried out in the early 2000s found as many people on the streets of Soho at 3am as at 3pm. 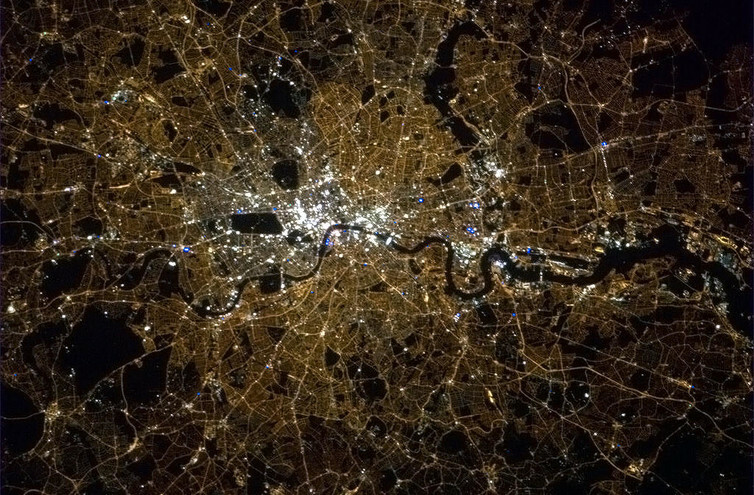 London is a global competitor for leisure and entertainment, so whoever is appointed as night czar will have a big job on their hands managing nighttime activities for 8.6m people. In 2009, the UK night-time economy was worth £1.6 billion and employed 1.3m people. It’s true that nightclubs face threats from rising land prices and licensing restrictions – as seen by the recent closure of London’s Fabric nightclub, after 17 years – but big city nightlife on the whole has been resilient. The financial crisis of 2007-2008 had only an immediate and short-lived impact, but people soon returned to town centres, leading to a growth in dining out and the opening of new venues. The reasons may be guessed at, but in contrast to high street shopping which has been affected by the ease of buying online, night-time activities rely on face-to-face contact which can’t be replaced by the internet. We can speculate that the uncertainties caused by Brexit may cast a shadow over other sectors, but it seems likely that the night czar can look forward to a stable if not expanding night time economy under their watch. One of the aspects that should provide a boost is Transport for London’s night tube service running throughout the night at weekends on five of its tube lines. While the primary aim is to disperse visitors and workers from central London more quickly and allow a more staggered departure from the West End, the improved connectivity opens up new possibilities to regenerate London’s suburban centres. This is hardly a fanciful idea – there are now thriving night time activities in inner urban centres such as Peckham and Dalston in south and east London where there was only limited nightlife ten to 15 years ago. Until the expansion of the London Overground metro rail services, neither even had a tube station. So it’s not beyond the realms of possibility for the newly-appointed night czar to bring together development officers and planners from London borough authorities, property industry representatives and creative entrepreneurs to help identify unloved and underused sites far beyond the West End that could be developed into new centres for nightlife activities of all kinds. London can boast of a wealth of creativity, and the city has pioneered many new cultural movements and styles. These have come from ordinary places – for example the music genre dubstep originated in outer suburb Croydon, while the Ministry of Sound, which started decades ago as a nightclub and is now a worldwide label and brand, is in Elephant and Castle, often treated like a no man’s land. It’s vital that the newly-appointed night czar looks beyond conventional definitions of nightlife to encourage new types of activity, different styles of venue, and draws upon London’s extraordinary diversity. In recent years there have been successful experiments with all manner of temporary or pop-up events and venues. For example, Frank’s, a timber bar perched atop a multi-level carpark in Peckham, pubs with board games or videogame arcades. Night markets have appeared, such as in Brixton and Islington, and avant-garde performances in unusual spaces, from small events to major installations such as Secret Cinema and Punchdrunk’s takeovers of huge empty spaces. There is a limitless appetite for new cultural experiences, and the night czar can play an important role to support that growth. For everyone happy that there are new things to do after dark there will be those for whom it is a problem. The arguments against expanding city nightlife are issues of noise, litter, anti-social behaviour and other types of criminal offences. But London’s city authorities and agencies have had many years of dealing with these problems, and with sufficient investment, management and planning, experience has shown they can be reduced. Indeed, one of the tasks facing a new night czar is to put the issues associated with nightlife into perspective: to lobby and persuade colleagues and government departments to ensure night time services provide equivalent levels of safety and comfort to those during the day. Bigger threats to nightlife come in the form of gentrification and rising land prices, which see well-loved and supported venues converted into more profitable uses such as flats. The night czar will need to wade in to policy details, support local campaigns and where necessary to push for legislative change. London’s size and the dominance of its city centre means that lifestyles differ from elsewhere. In the UK capital it’s more common for everyday activities such as shopping for everyday essentials, going to the gym or visiting the dentist to stretch into the evening. The night czar should not only be there for the extraordinary and the transgressive. Hopefully, he or she will take care of the mundane too.